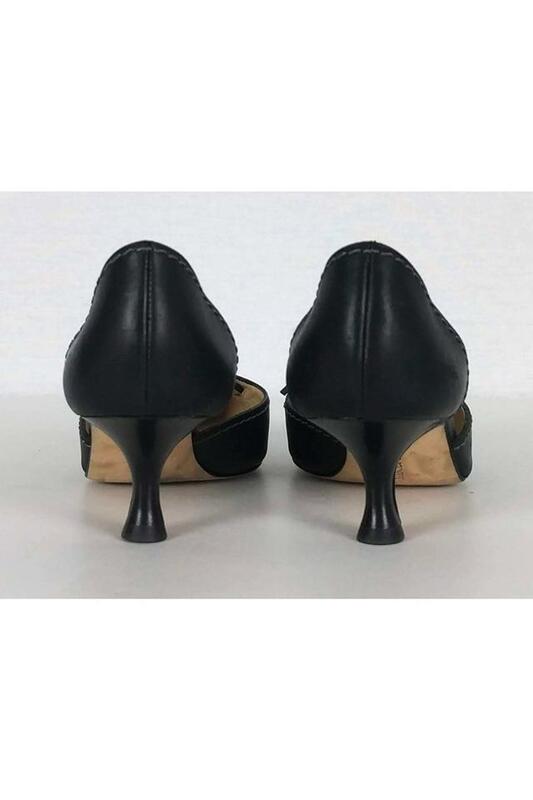 Take a step in these classic Manolo Blahniks. 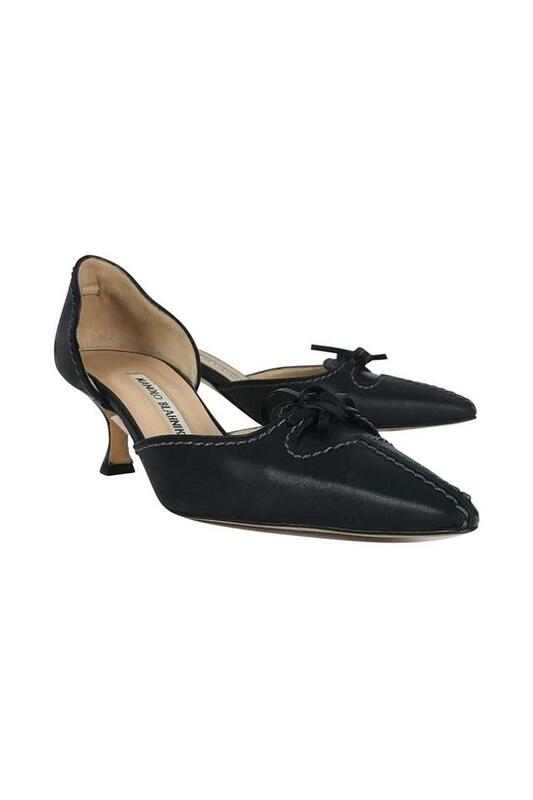 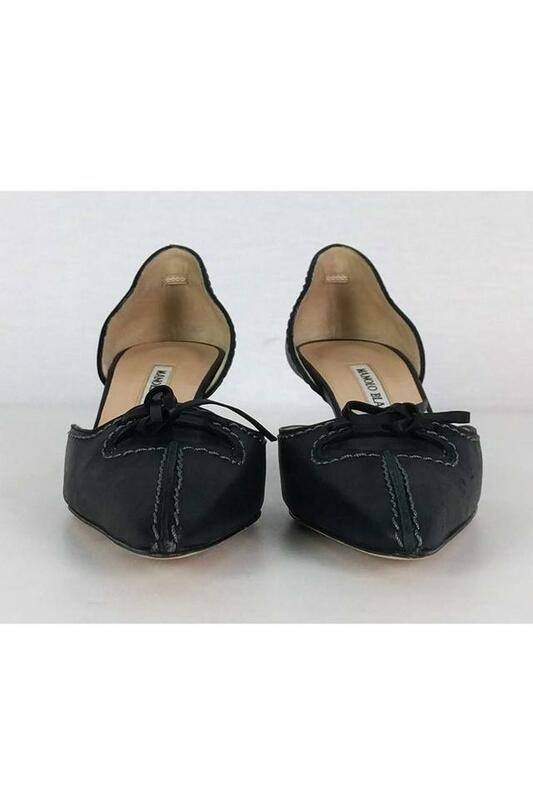 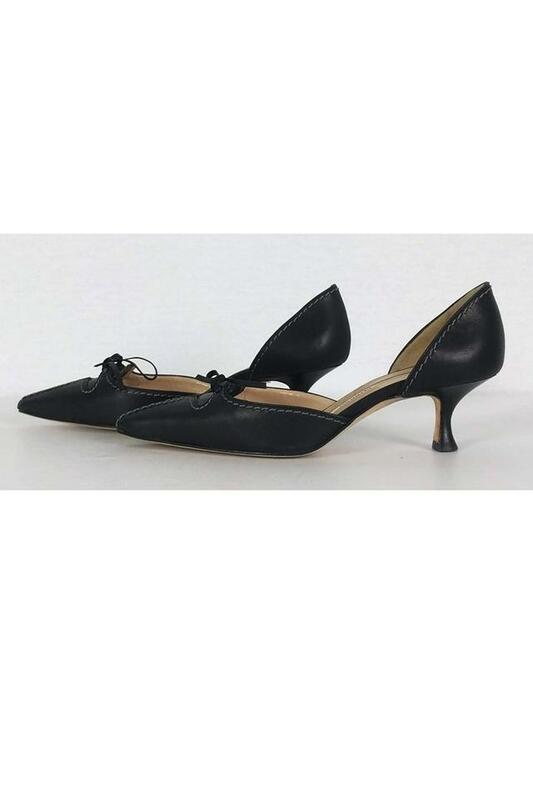 Made with a chic pointed toe with grey top stitching and a sweet bow at the front. A comfy kitten heel tops off the look.